A Ceiling fan is a welcome unit in every home or office. It provides comfort during those hot days and reversible models can also provide warmer air during the winter season. However, due to advanced technology, we now have smart ceiling fans. Smart ceiling fans are packed with features that boast convenience and smart products are often touted as the wave of the future. If you have yet to try out the advantages of such products, you can try a ceiling fan with those features in the form of the Haiku Home L Series Smart Ceiling Fan. Read the review and discover whether this product is for you. The contemporary dwelling already comes with smart features like lights and heating. This smart technology is now even included in ceiling fans like this model from Haiku Home. The unit comes with an integrated LED light that has a good range of brightness options and it also comes with voice command care of Alexa plus smartphone control. The application operates by way of Android and iOS units and it comes with all the details needed to make the fan work and do its job from fan speeds and brightness settings down to sleep modes. The smart mode allows the unit to operate and maintain a cool temperature every time. If you do not have access to your phone, the unit can be controlled through remote means as well. The fan comes with a contemporary and chic design. It has a size of 52 inches, weighs 11 pounds, and its finish is a welcome addition to any modern home. 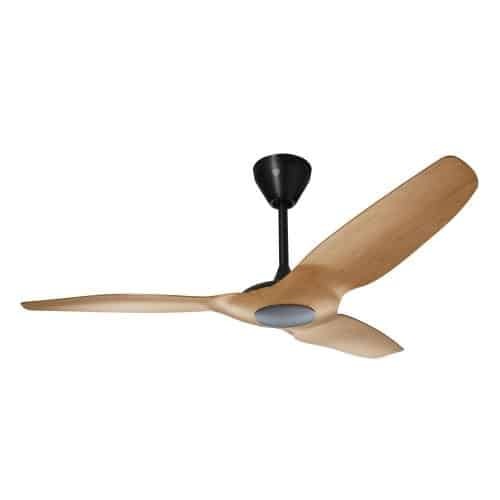 Because it includes a universal mount, the fan can be positioned on slanted or flat ceilings. If you want WiFi control, though, you have to pay extra for the company’s Wall Controller unit. 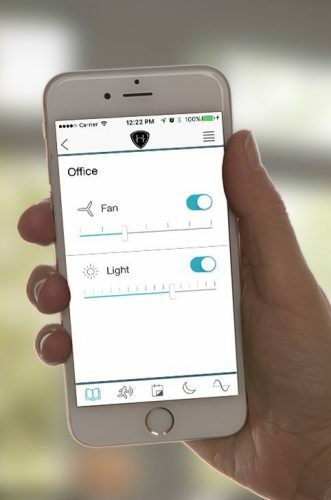 Another smart feature of the fan is its SenseMe ability, which allows users to let the fan know they are in the room so it will provide their preferred temperature. The unit has a smaller motor so it is lighter compared to other ceiling fans. Installing a ceiling fan can take a bit of effort but the unit makes the whole procedure easier due to its fan blades, which are color-coded by way of the mounts. The fixtures meant for setting the procedure up are made available. You can do this solo but you can also ask for extra assistance if you prefer. 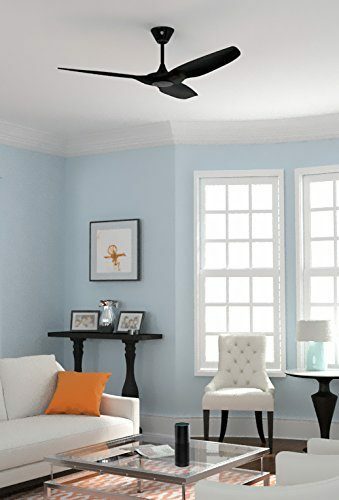 The Haiku Home L Series Smart Ceiling Fan works soundlessly. If you switch its Woosh mode on, it can provide a bigger amount of air yet it will not emit any noise. The LEDs on the unit gives lots of light and it can be dimmed by means of the app or through remote control. The unit comes with an energy-efficient motor as well, which will not put a dent in your energy bills. For homeowners who have Alexa installed by means of Echo devices, they can manage the workings of the fan through voice commands. As soon as the fan is put in place, it needs minimal maintenance thanks to its energy-efficient motor and LED light. The motor comes with a lifetime warranty, while the controller and the lights are covered for 5 years. For a ceiling fan with smart features, it works decently and it’s something that may interest homeowners who are after fans that come with said current technology. There had been some problems regarding WiFi connectivity and sustaining a connection, which can be inconvenient. Also, keep in mind that the WiFi receiver and app do require upgrades to make said units dependable and well-suited. The Haiku Home L Series Smart Ceiling Fan is a nice smart ceiling fan to can invest in. It will make controlling the fan convenient for every homeowner, as smart features are known to provide. It has a great modern appearance and it generates excellent cooling output. It comes with neat smart advancements that homeowners need to be comfortable and impress friends and family. The lighting can be adjusted easily and this is a welcome bonus from the whole package. The product comes at a rather high price; however, the features it comes with is all worth it. If you are after the accessibility that smart gadgets provide, then this unit is something you need to check out. It is worth the splurge and will give you the functions you need without the bother.